52 Hampden Rd, Battery Point. Google Maps. 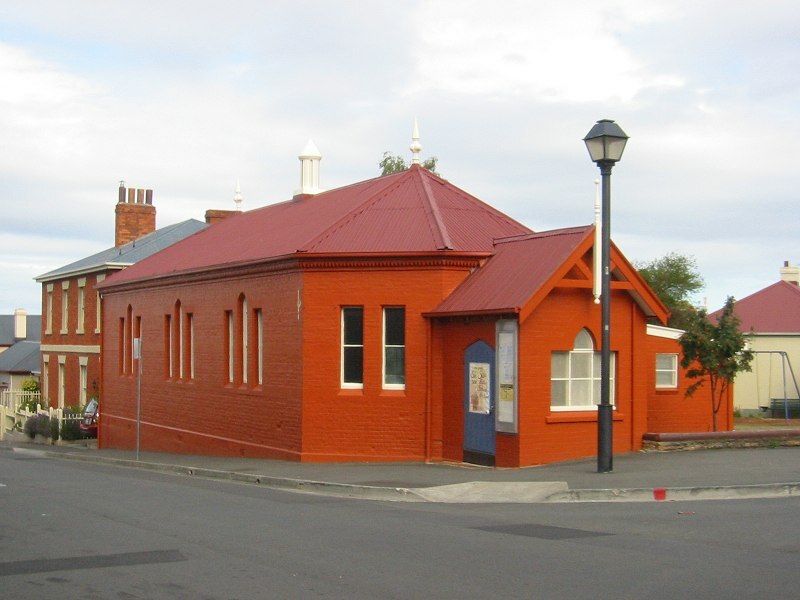 An afternoon tea of tea and plum cake probably attracted people to the opening of the Congregational Sunday School, now the Battery Point Community Hall, in February 1850. 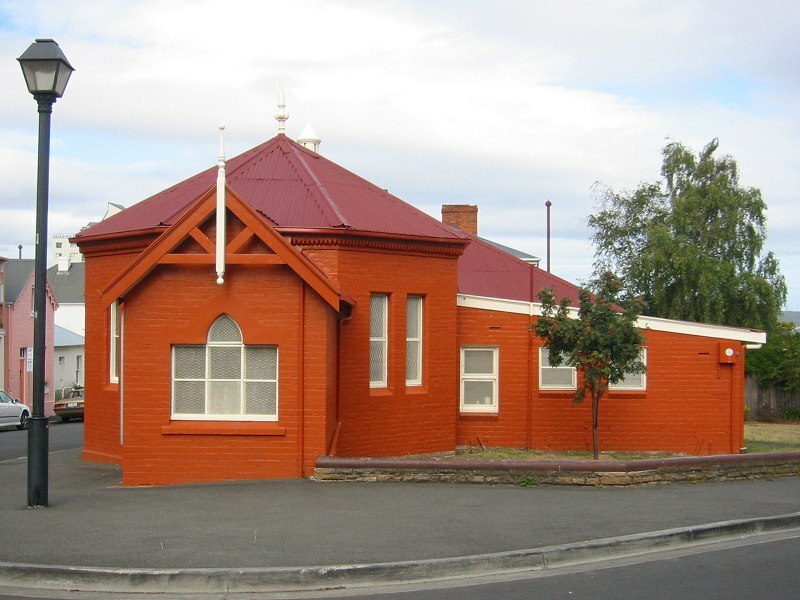 Purpose-built as a Sunday school, children were expected to attend all day! 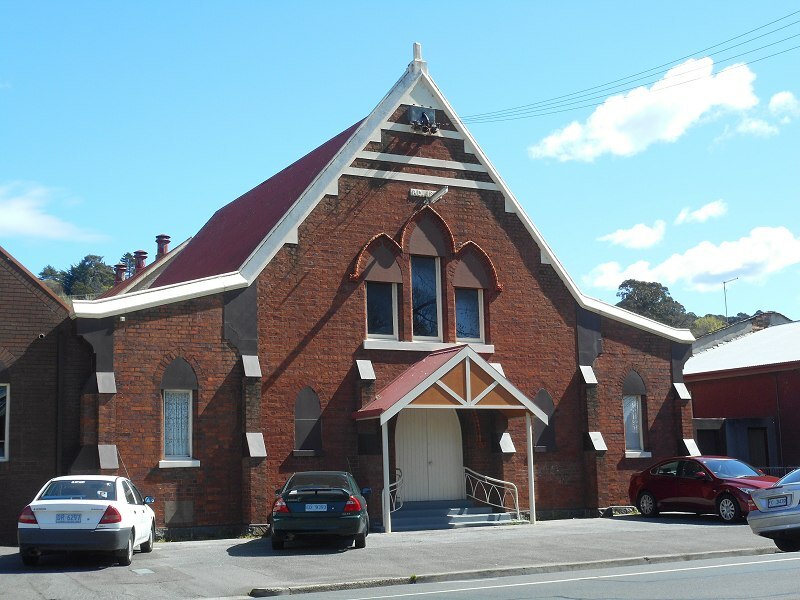 The building was extended in the 1860s and in 1918 was bought by the Methodists for a Methodist Mission Hall and Sunday School. It operated until the 1950s, when it was marked for demolition to build a service station. 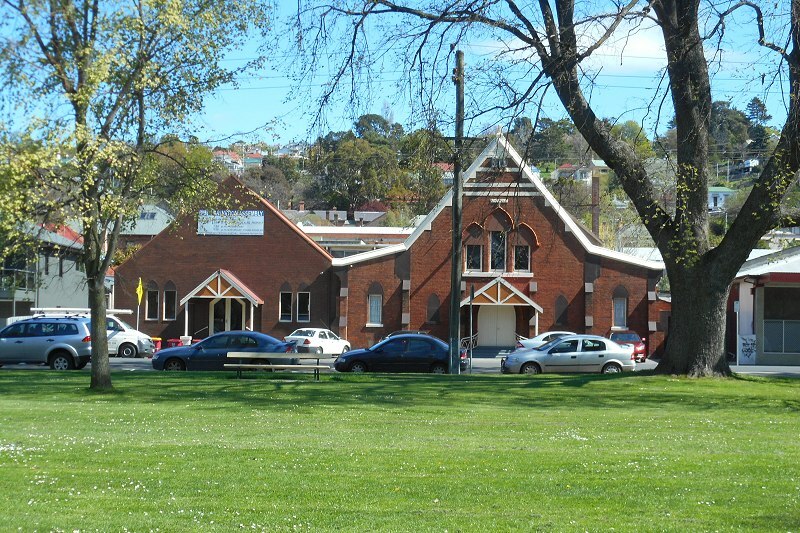 Community support rallied behind Miss Dorothea Henslowe to raise money to purchase the hall as a community centre. 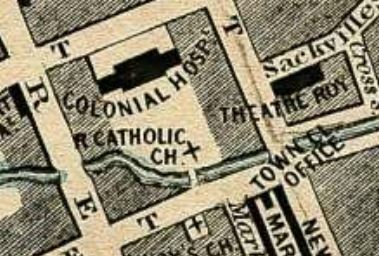 The land appears Sprent’s survey map from the 1840s as reserved for “Reserved for the benefit of the Roman Catholic Community to be used as Temperance Hall and a Sunday School & occasionally for a place of Worship. Whenever the building ceases to be used for the above purpose the land to revert to the Crown”.